Never underestimate the power of accessorizing! Our unique, colorful accessories can transform an everyday outfit into a bold fashion statement or make an old outfit look brand new. Adding a hat, scarf, or a fun purse to your wardrobe can create a personal touch and flair that showcases your creativity and style. 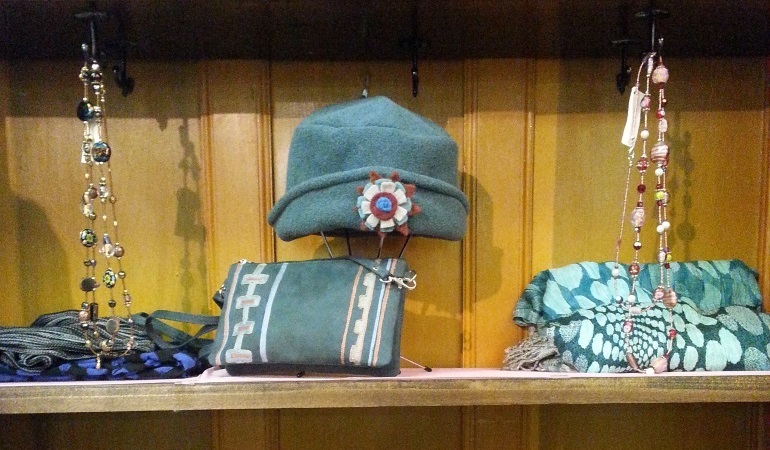 Our accessories from brands like K. Bell, Linanz, Rising Tide, and more make great gifts. 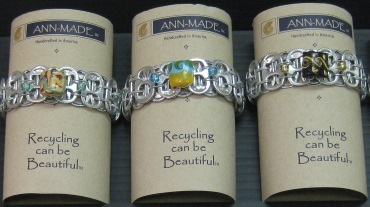 Our selection is always changing, so stop by often to see what's new! 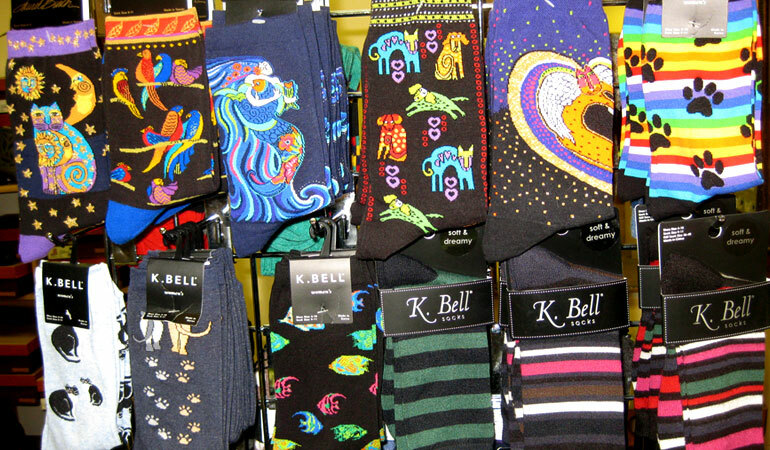 These fun socks from Laurel Burch and K. Bell can add a pop of color to any outfit! 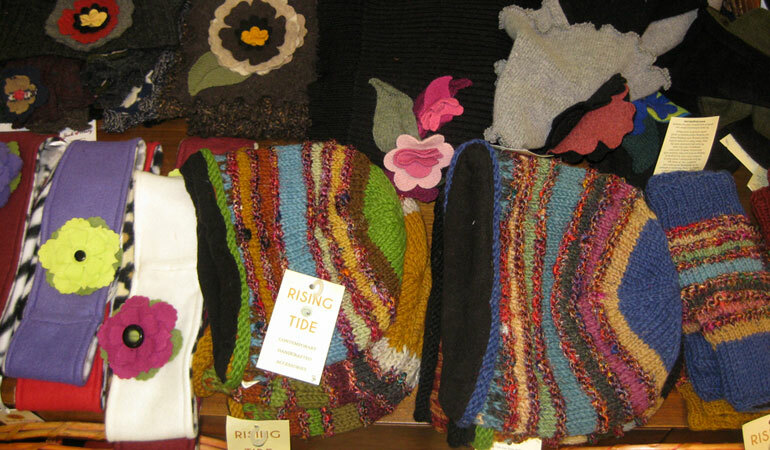 A matching set of stylish knit hats and gloves can keep you warm and toasty on those cold winter days. A scarf with a fun print can really tie an outfit together! 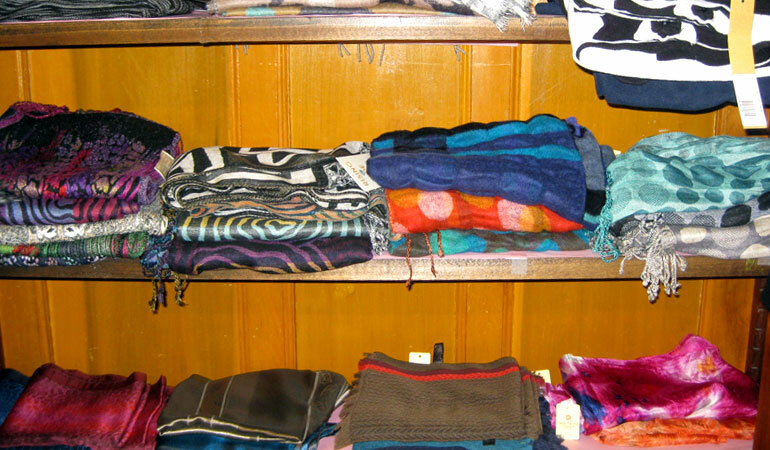 Stop by and browse our selection of unique scarves today! 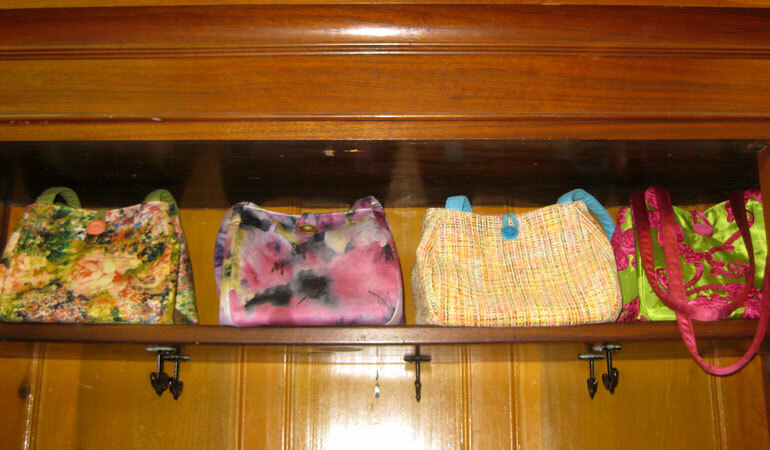 We have a large selection of bags, including these beautiful handmade purses by Linanz. Looking for a little something to let him know you were thinking of him? Try these mens' socks from K. Bell!